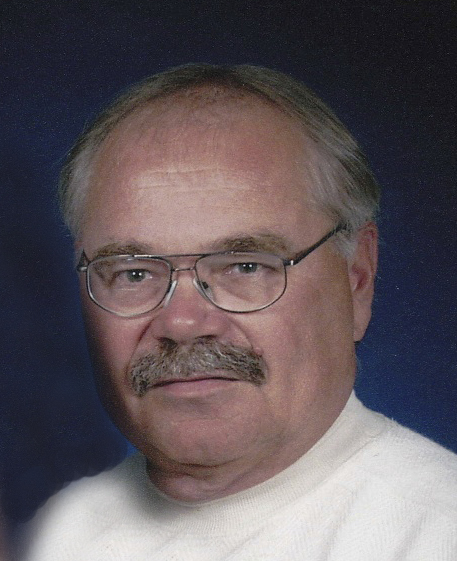 Memorial services for Daniel Leppa, 72 of Starbuck will be Friday, December 7, 2018 at 10:30 a.m. at Fron Lutheran Church in Starbuck. Visitation will be Thursday from 5 to 7 p.m. at the Starbuck Funeral Home in Starbuck and for one hour prior to services at the church on Friday. Burial will be held at a later date at Darwin Cemetery in Darwin, Minnesota. DANIEL MATT LEPPA was born on February 26, 1946, in Litchfield, Meeker County, Minnesota to Edwin and Daisy (Anderson) Leppa of Darwin, the youngest of three children, of which his siblings reminded him often. Dan grew up in Darwin, attending elementary school in Darwin and high school in Litchfield. He played football and baseball and wrestled in high school, though baseball was his favorite. He graduated from the “old” Litchfield High School in 1964 and attended a year of community college in Willmar, where he wrestled for the Warriors. Dan and Catherine (Katy) Quinn were married June 14, 1980 in Darwin. He was indifferent about the wedding ceremony itself, but he wanted a reception where he could invite everyone he had ever played softball with; and he had it! He was an accredited Inspector of the Hartford Steam Boiler Insurance Company and was assigned to areas of Minnesota and South Dakota. His original territory brought the family to the Minnewaska Area in 1980. They moved to a home on Lake Minnewaska, between Glenwood and Starbuck where he loved boating and being on the water- especially teaching the kids to waterski. He played softball for many years in Litchfield, Starbuck, and Glenwood, and would’ve played for many more if leagues had been available. He bowled in Litchfield and Starbuck and especially enjoyed bowling trips to the Fargo area. He loved when his son, Jan, was attending NDSU and would chauffeur he and his cronies around for the weekend. The family was blessed with a daughter, Anita, in March of 1983, and Dan enjoyed watching both Jan and Anita compete in high school athletics and music concerts. He was incredibly proud of both his children. He would have enjoyed watching his grandchildren compete in hockey more, if they hadn’t played on frozen ice! Dan was proud to belong to the Minnewaska Golf Club where he golfed at least twice weekly for many years. He scored two Holes-in-One at MGC, which he never let anyone forget. He was supported by his buddies Corbin Corson, Bruce Nelson, Mark Hedner and Jim Nelson, not just during golf season, but even as his health deteriorated. He loved to golf in the annual Waterama tournament with his children and his friends and compete for the coveted Shakers’ trophy. Dan is survived by his wife Katy; son Jan (Candace) Plaude of Maple Grove, MN; daughter Anita of Fargo, ND; brother George (Shirley) Leppa of Big Pine Key, FL; sister Judy (Nick) Johnson of Ponca City, OK; grandchildren Reese and Garrett Plaude; niece Doreen (Alan) Schiebe; niece Jodie (Matt) Keuseman; nephew Clayton (Nancy) Johnson; nephew Ed (Dee) Johnson; nephew Matt (Michelle) Johnson; and numerous cousins.He was preceded in death by his parents, Ed and Daisy Leppa.